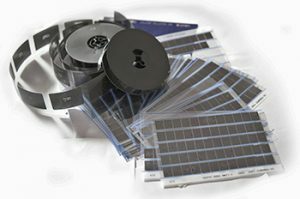 Scan Film or Store Ltd provides a tailored solution using its in-house microfiche and microfilming technologies. Integrate digitised film with your existing or new document management systems. We meet the technical, security and quality challenges of aperture card and film scanning. … and feed scanned images and information into a wide range of document management systems. Secure sites and highly trained staff all DBS checked and with full security clearance to BS7858 standards. Read a case study about microfilm or contact us to discuss the business benefits of microfilm and microfiche services.